This brought tears to my eyes, and reminded me once again that when we serve others, their needs come first. Too often we try to force a particular view, action, or thought on others because we feel it will help. 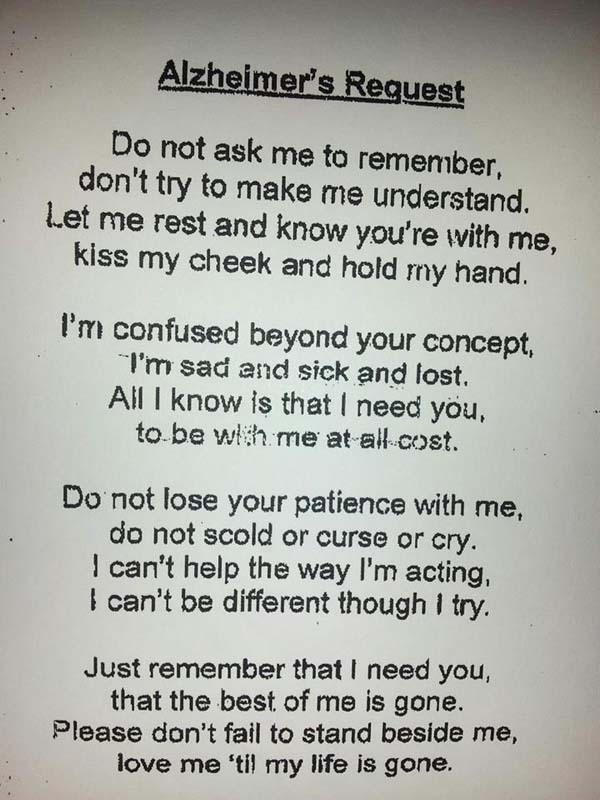 This poem reminds us that oftentimes just being there is enough. Sitting quietly, holding a hand, is more important than we will ever know.